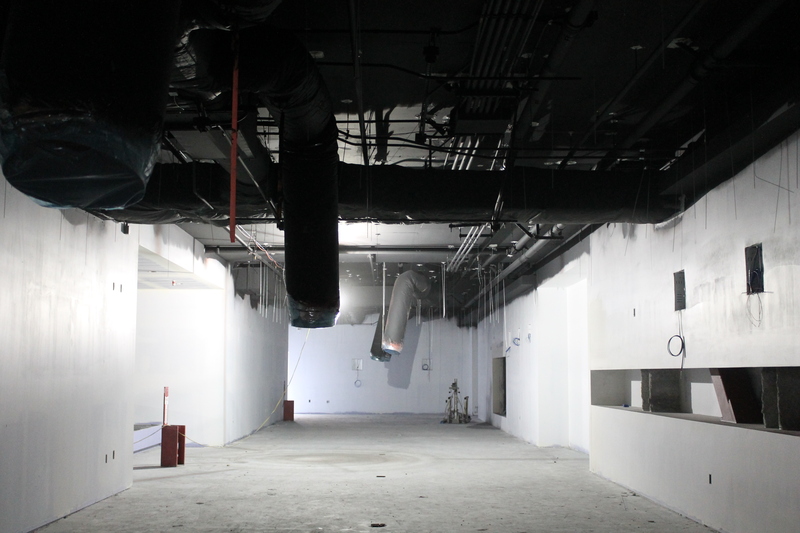 The ARC Express will feature an open ceiling. 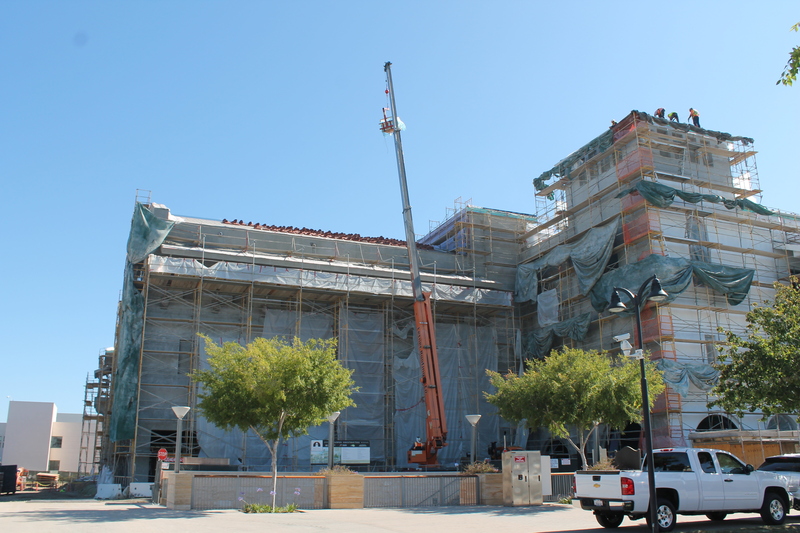 Crews continue to load roofing materials to the top of the building. 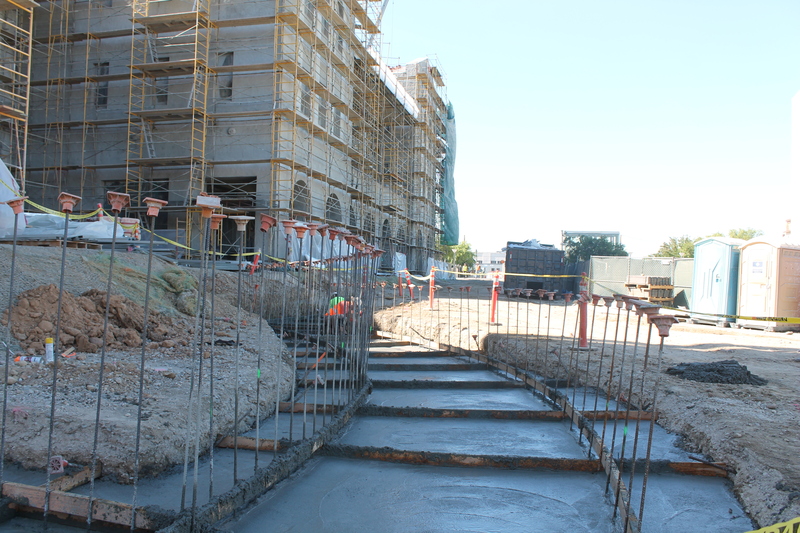 This photo shows the concrete curing in the circular walkway closest to Manchester Hall and the Open Air Theatre. 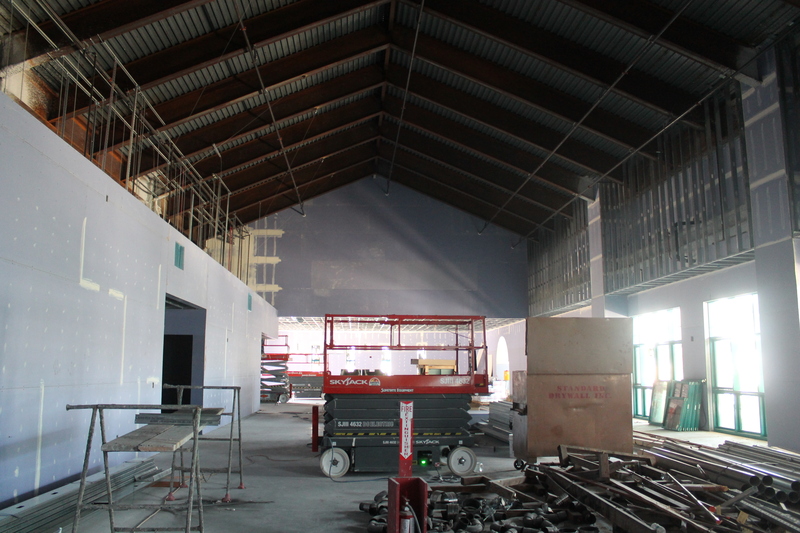 The gaming area of Aztec Lanes will feature an exposed ceiling. 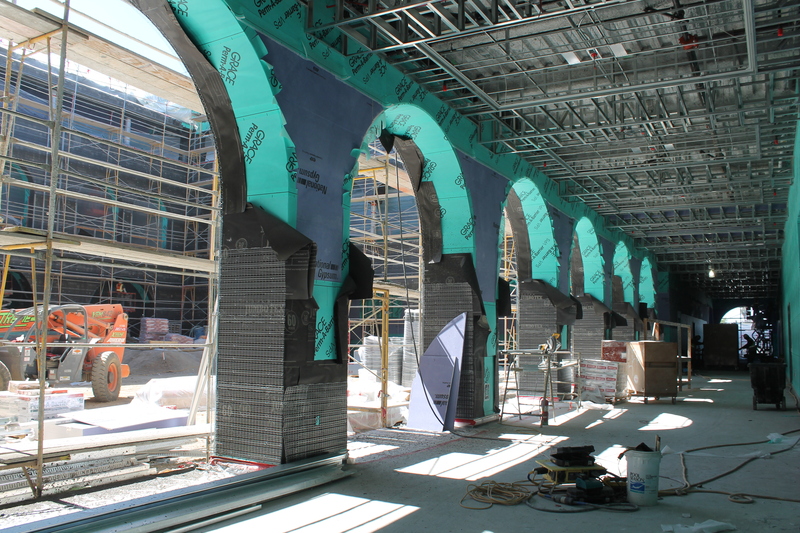 A view of the archways from a walkway located west of the Goldberg Courtyard.